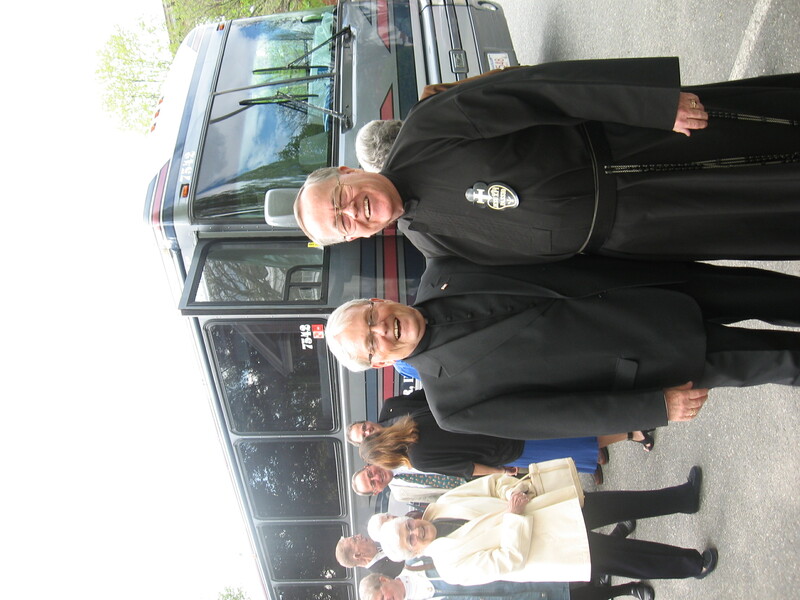 Father Peter Gregory and Brother Terry prepare for Mass. 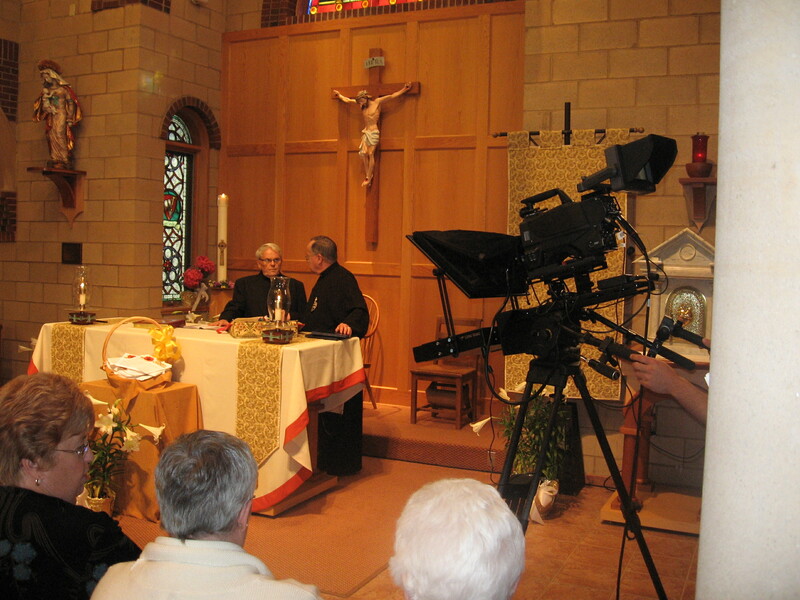 Every Sunday morning the “Chalice of Salvation” Mass enters into homes throughout Western Mass. 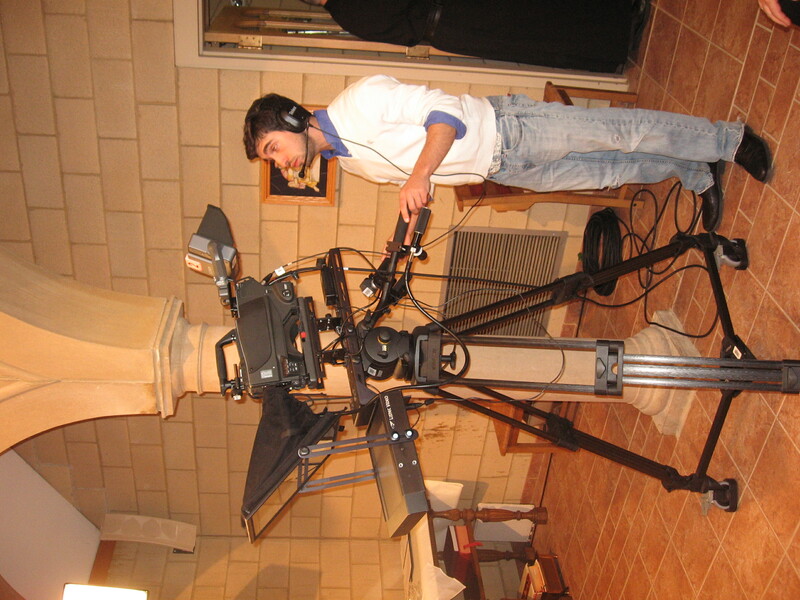 via their telelvision sets. 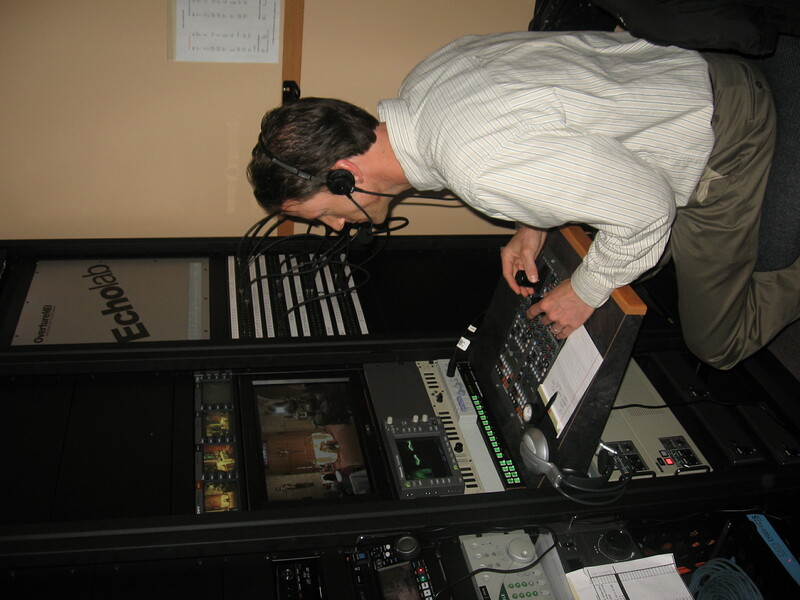 It is one of the many evangelization efforts of the Catholic Communications ministry. 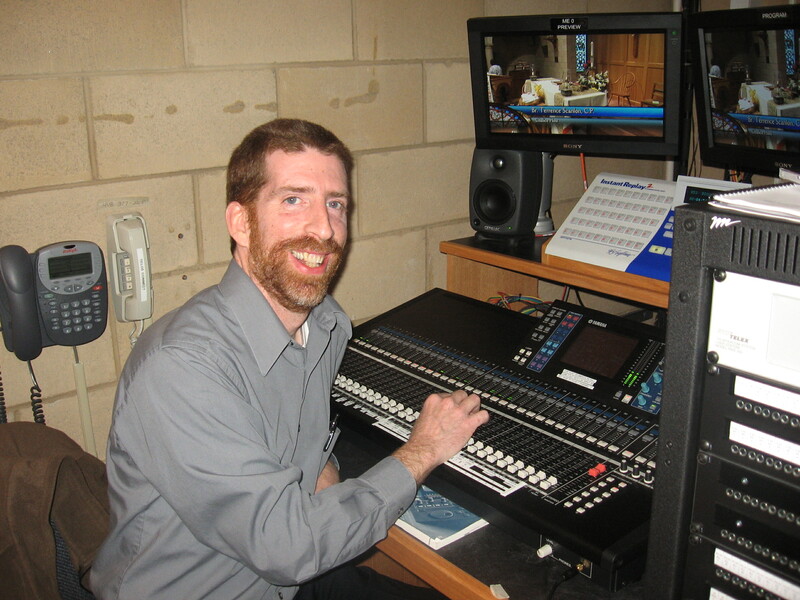 Passionist Brother Terrence hosts the program and welcomes various groups to the Holy Spirit Chapel at St. Michael’s Cathedral. 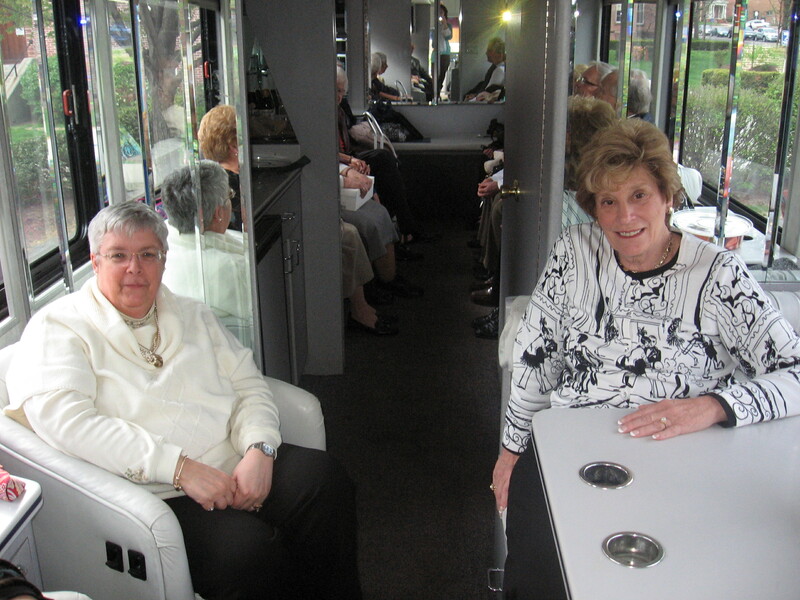 Recently, the welcome mat was rolled out for two special groups — St. Charles Parish in Pittsfield and the choir from Mater Dolorsa School in Holyoke. 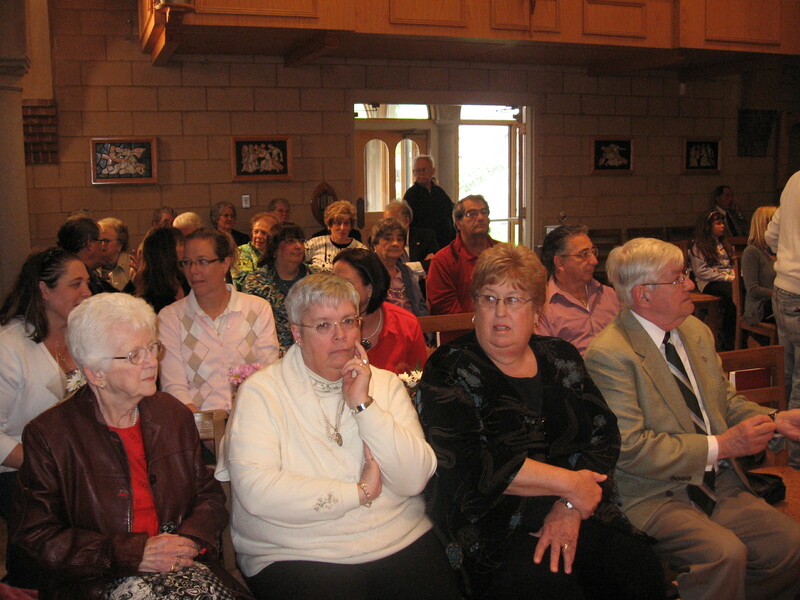 It was a full house of parishioners, parents and sweet singers. 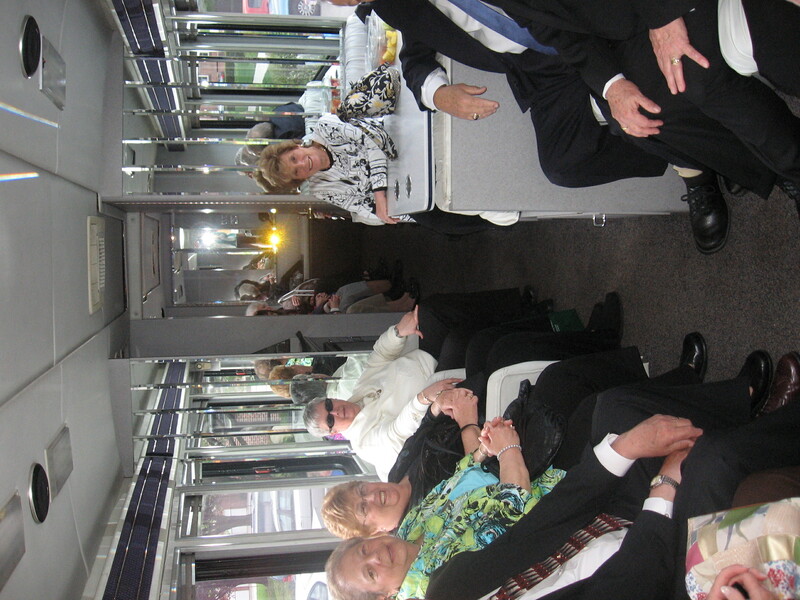 Father Peter Gregory, pastor of St. Charles, and some members of his parish traveled to Springfield in style — on a party bus! 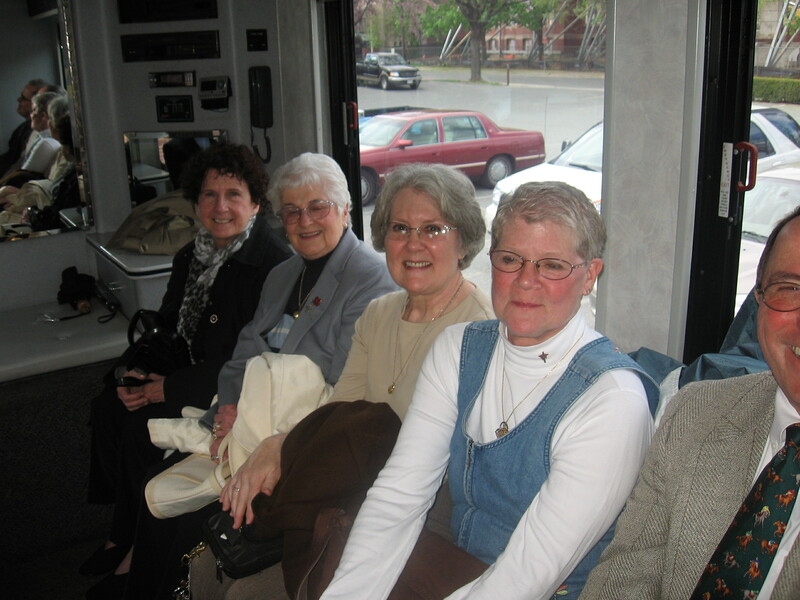 Just check out how comfortable the journey down the Mass. 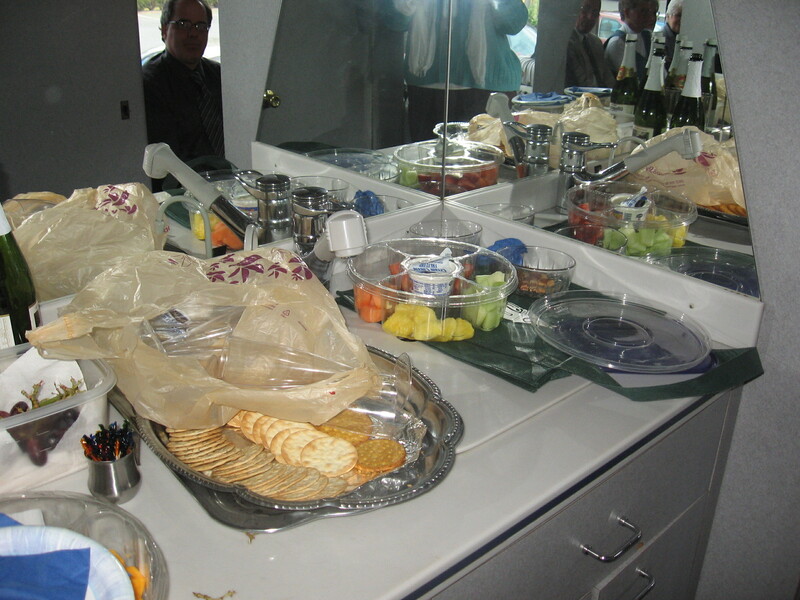 Pike was…. 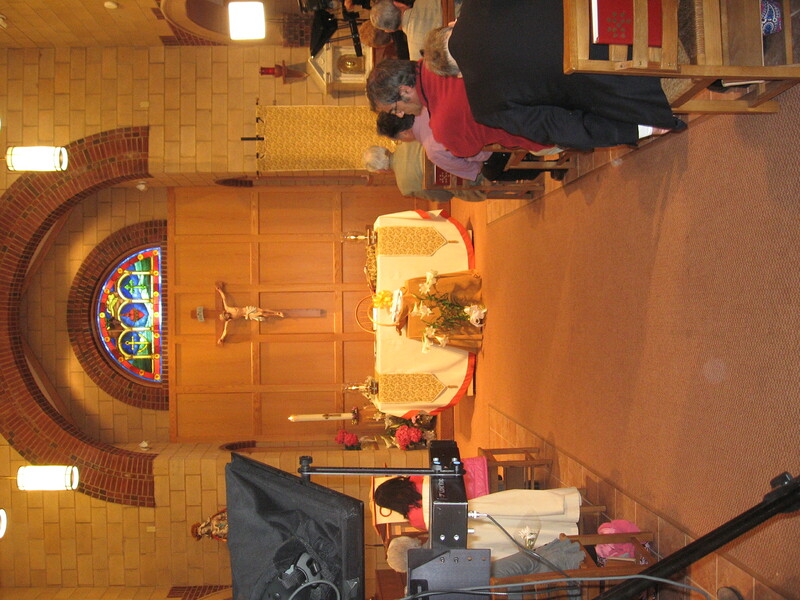 Filming a Mass each week is an ambitious effort. However, it also is a great joy when many gather in worship. 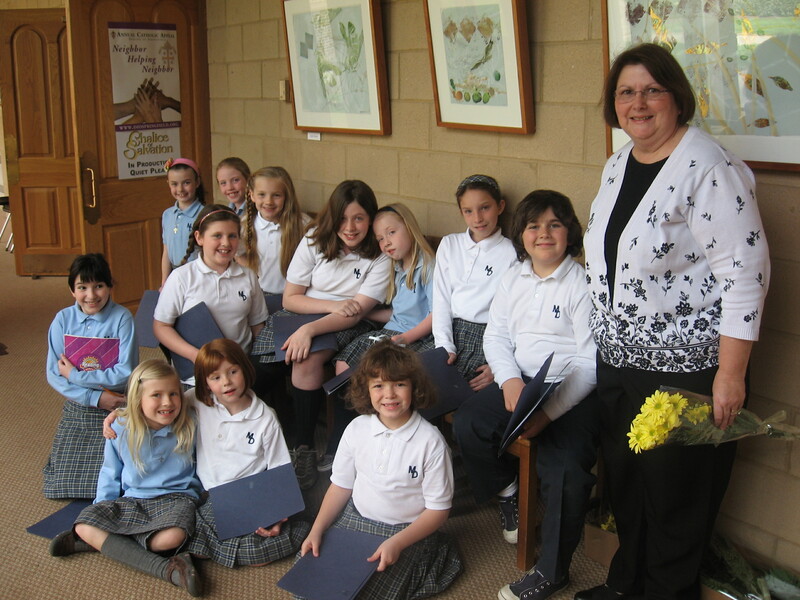 The people from St. Charles and the youngsters from Mater Dolorosa made it a special event. 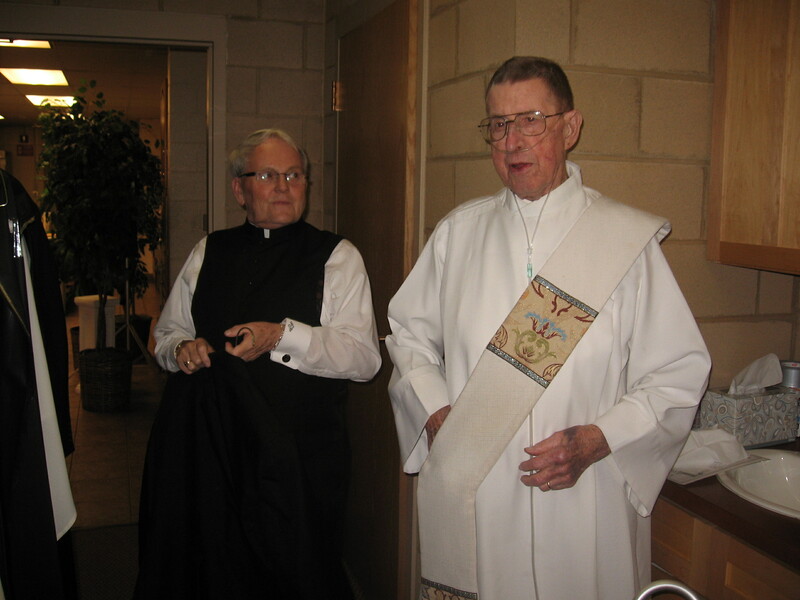 Deacon Bill Moesley, right, and Father Peter get ready in the sacristy. 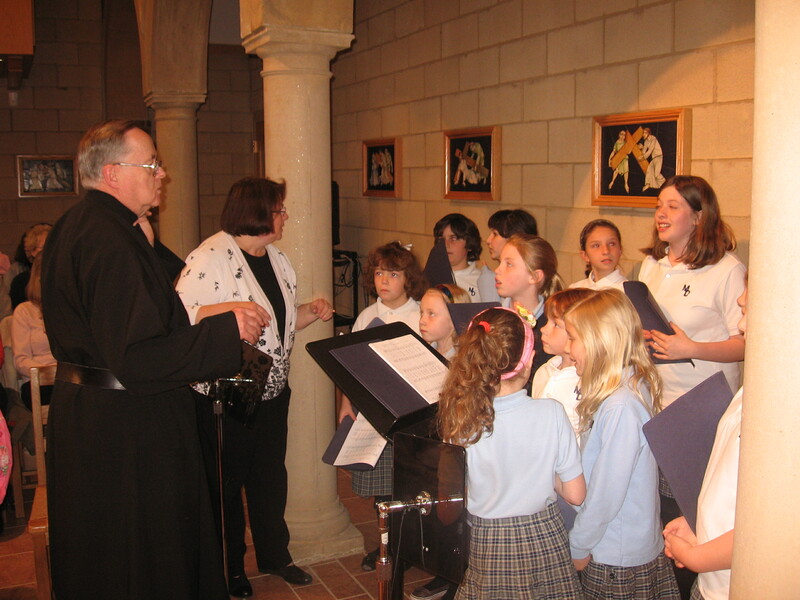 Brother Terry goes over some details with the choir. 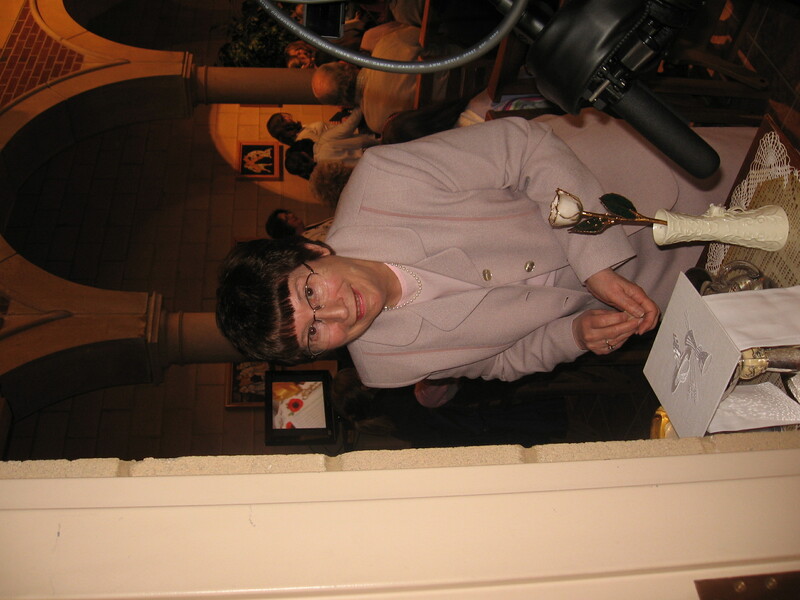 Marie Renaud prepares the gifts for the Offertory. 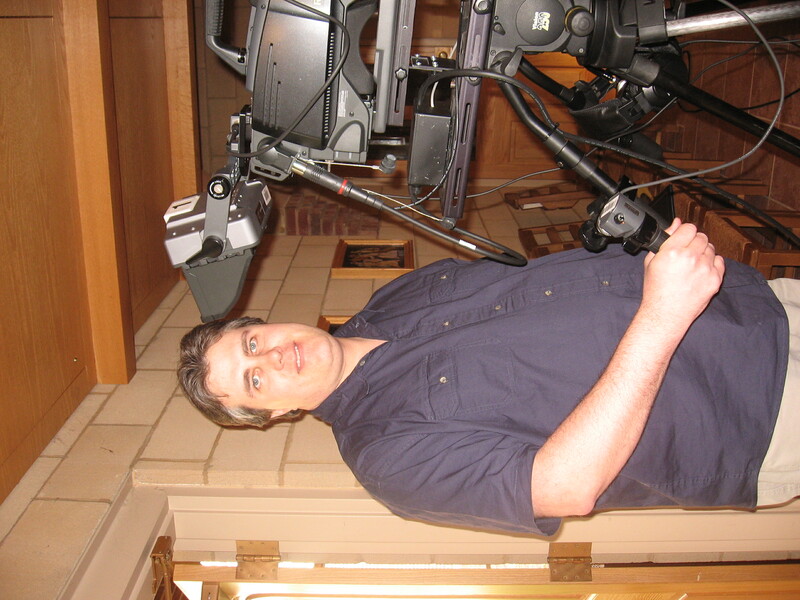 Scott Kent is ready to engineer the production. 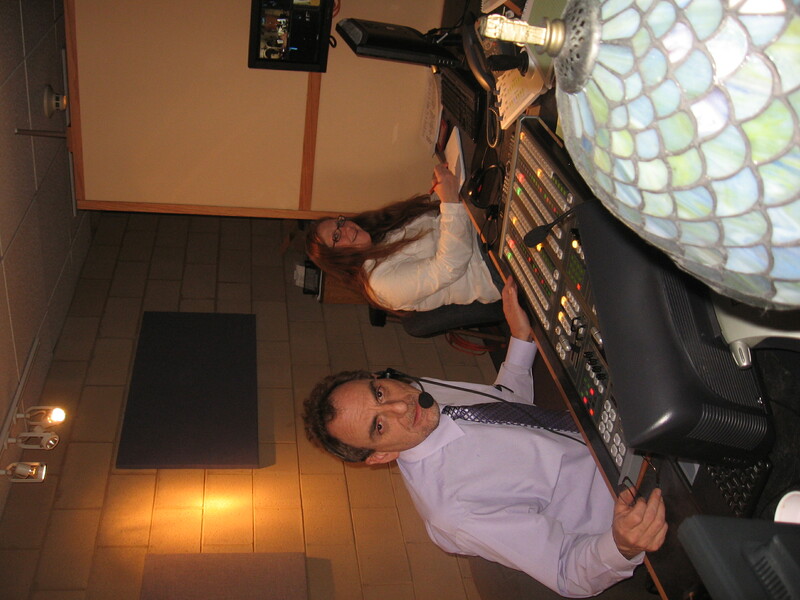 Mark Dupont and Barbie Bagley work behind the scenes in the control room. 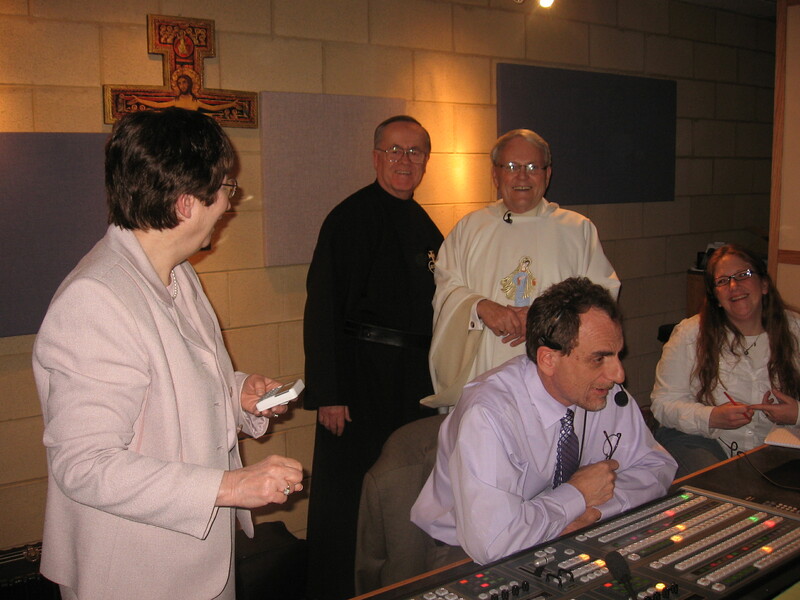 A beautiful Mass with St. Charles ends with a tour of the control room. 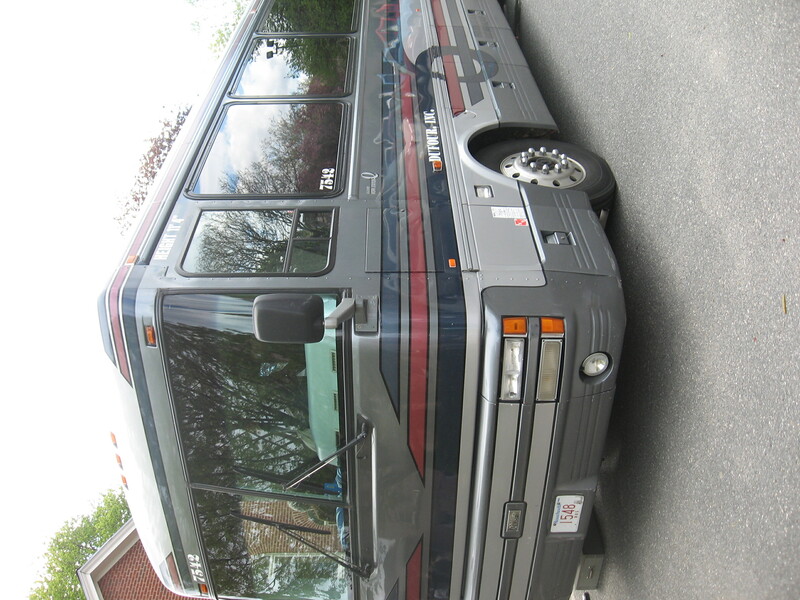 Many things come to mind when one thinks of the month of May. 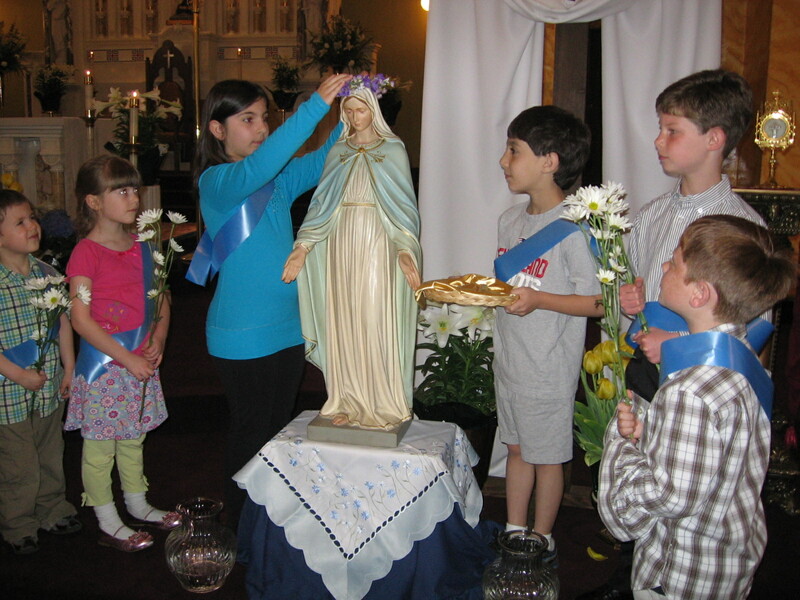 There is Mother’s Day, graduations, flowers, and one really sweet tradition — a May crowning!! Our Lady of Mt. 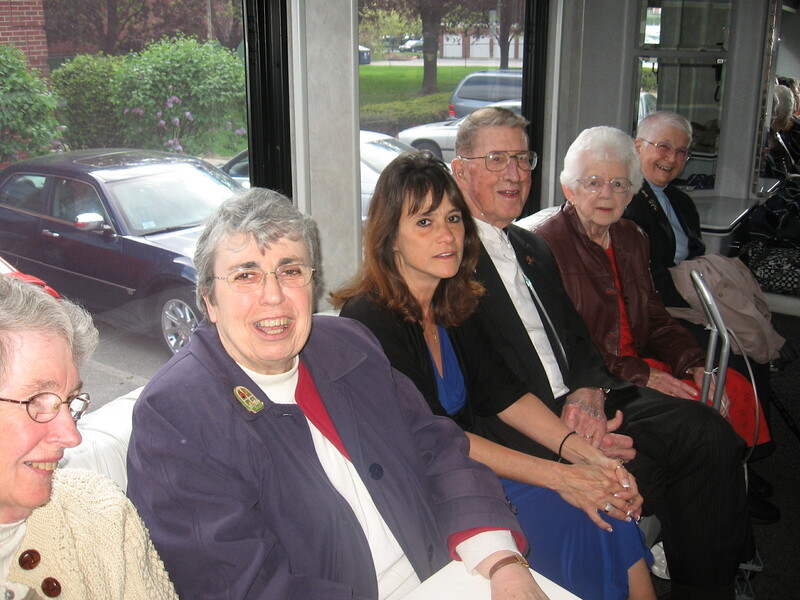 Carmel Parish in Springfield continued this long-time tradition with a lovely coronation ceremony on May 1. 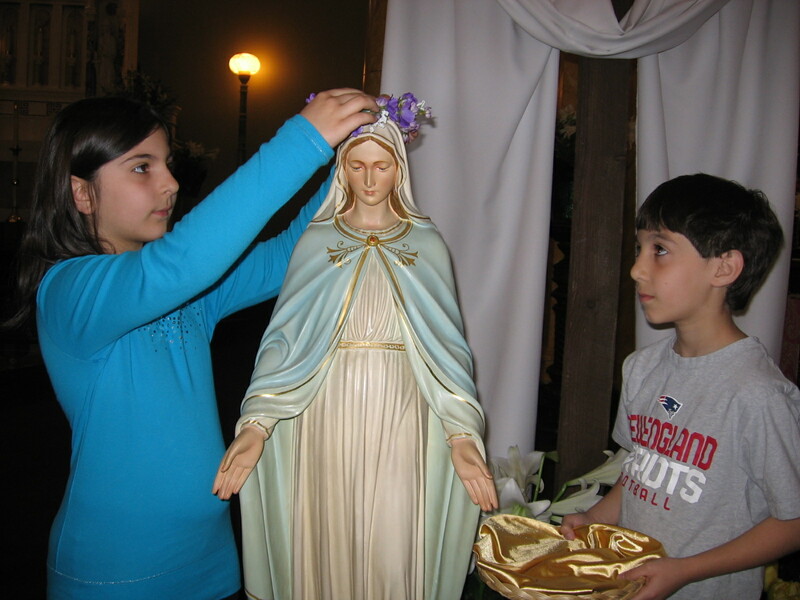 Regina Mastrangelo and Vincenzo Romeo participate in the May crowning. 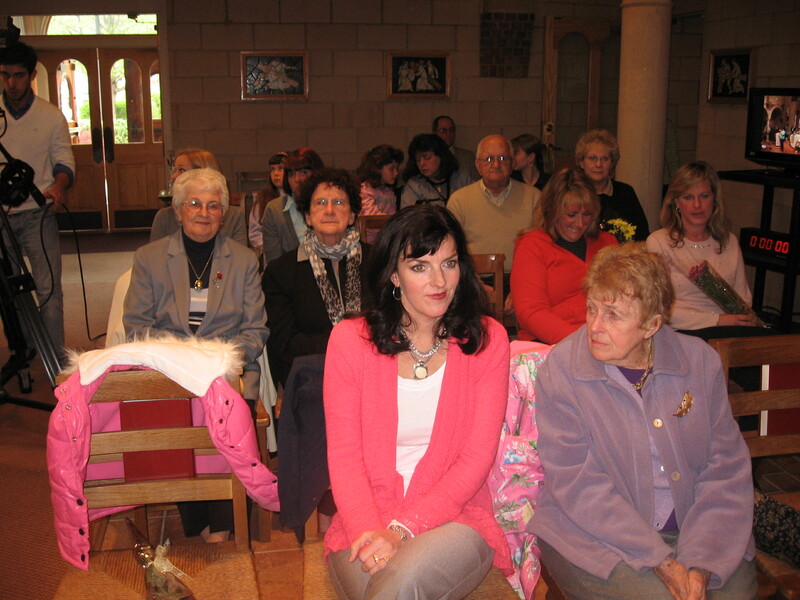 Many of the younger members of the parish were involved in this moving event. Eamon Divenuto, Rory Divenuto, Regina Mastrangelo, Vincenzo Romeo, Nicholas Culver and Frank Marasi gather for the celebration. 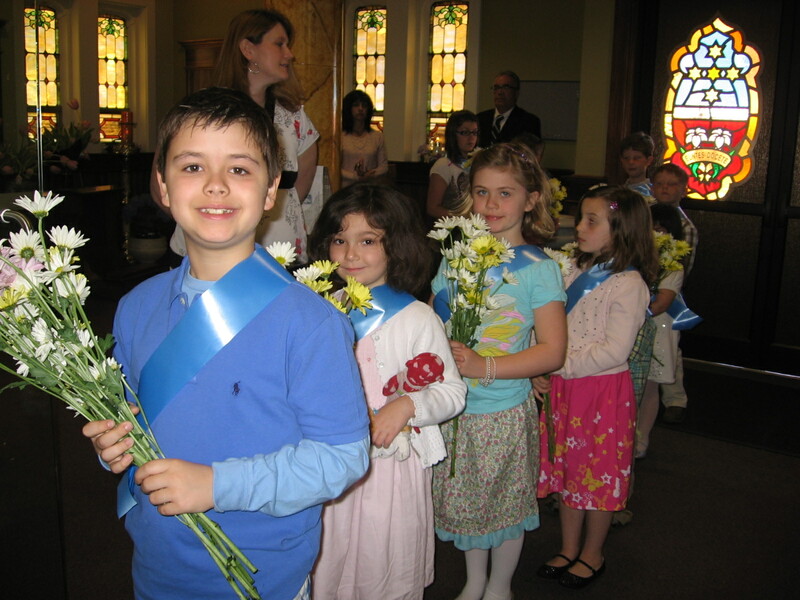 The children were all smiles as they processed in church and their joyful enthusiasm and the act of honoring the Blessed Mother brought smiles to the congregation. Riley Banas, Cezza Cardaropoli, Ava Banas and Luciana Alves lead the way.